AV 540 is a wireless Audio/Video Transmitter and Receiver. 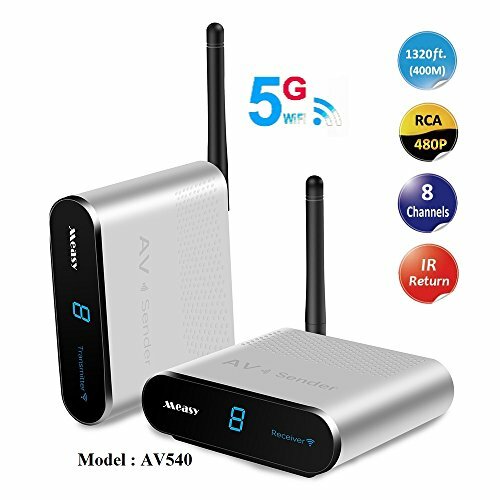 It consists of a transmitter and a receiver, Adopting advanced 5.8GHz wireless transmission technology, it can transmit the signal from any A/V devices at transmitter to TV sets connecting receiver in different room. DVD, DVR, CCTV camera, IPTV, Satellite receiver, Digital TV Set Top Box etc. 5.8 GHz ISM frequency band. 1320 feet /400m transmission range without any holdback. Rising Fixed Rack Server Shelf 1U For 600MM Deep Cabinets/racks.